PHP has functionality to do server-side scripting, command line scripting and writing desktop applications. PHP can be used on all major operating systems like Microsoft Windows, several Unix variants and Linux. 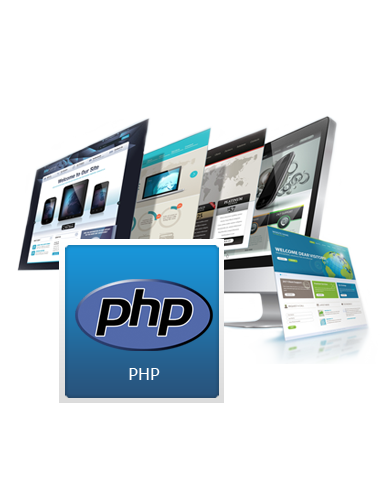 PHP offers a lot of freedom to web developers in a wide range of applications, especially in database-enabled web pages. Spectrum’s PHP programmers and PHP web developers have expertise in working on critical projects by turning impossibilities into powerful and robust PHP solutions. They understand corporate business requirements and prioritize them to incorporate necessary features into any PHP solution. Our PHP MySQL development team handles all types of PHP outsourcing projects, regardless of business size, type or sector. Working from conceptualization to final deployment, our PHP web site developers are enthusiastic about handling PHP / MySQL web site development, PHP application development, and PHP web development projects efficiently so as to offer greatest satisfaction to our clients. We afford all kinds of custom php programming as the client needs for their php web application development or php software development or php programming. Supports multiple platforms such as Windows, Linux etc. We can provide you custom web development services as per your requirement. We have expertise in customizing applications like Vicidial, web integration of Asterisk solutions, Integration with Paypal, shipping label integration with USPS and UPS, Credit card integration with Authorize.net, shopping cart integrations, e-commerce solutions, customization of open source applications etc.